The adventures of life continue to roll on in and one of those adventures is the most dreaded phrase in my household, “back to school.” Is it possible that it is time to get out there and shop for back to school supplies? Summertime seems to bring on growth spurts, massive hair growth, and tons of requests for personal items that they don’t indulge in throughout the school year. I love shopping and heading to all the stores to gather up items like a squirrel gathering nuts. However, what I have learned through all my trials and tribulations as a parent is how to save time and money on back to school shopping and simply head to ONE location where I can shop for more than just typical school supplies. The back to school shopping season is the 2nd biggest consumer shopping season of the year, so make every penny count, and every minute, I will show you how to lavishly live this experience out loud! 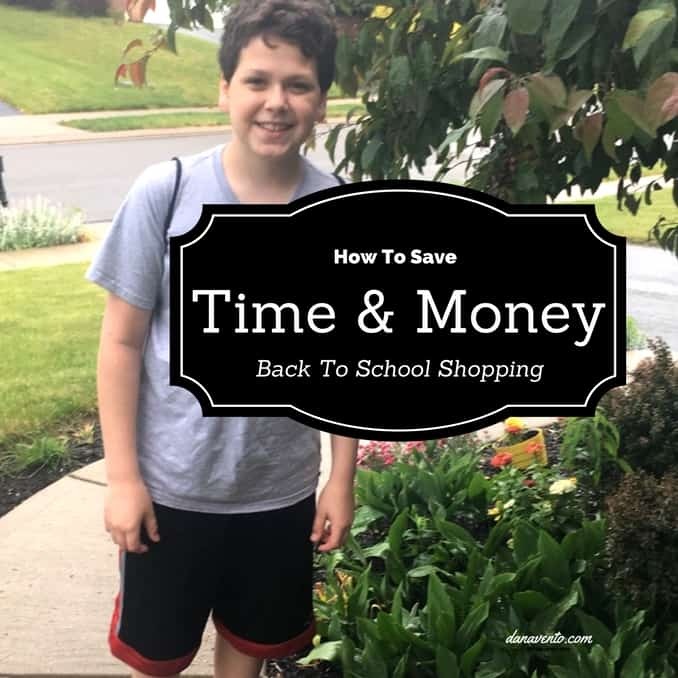 To save time and money on back to school shopping you have to know where to go to and then you will know how to make back to school shopping more practical! Who is like me? The more you stop at different stores the more you spend in gas, in time, and in money. A downfall that I will gladly fess up to is that I love being with my kids and summer is short, so we all go out together, everywhere. While this might seem so ‘cutesy’ and ‘fun mom’ to you, trust me: doing this enough will cause any mom to really need her Merlot! It gets tiresome with everyone having to trudge from store to store and then the moaning and complaints start. However, I would not have my summer any other way. Would you? Another little perk of taking the kids along is that when I shop, there are hands on deck to help me unload, are you all with me? What if you could shop for back to school stuff in one location, save money and really fill up your pantries, backpacks, and shelves with all that you needed for both school and home? Shopping at our one-stop shop gives me that advantage. We head to Sam’s Club because I can conquer the world of shopping with one good stop here and the kids don’t mind it at all! 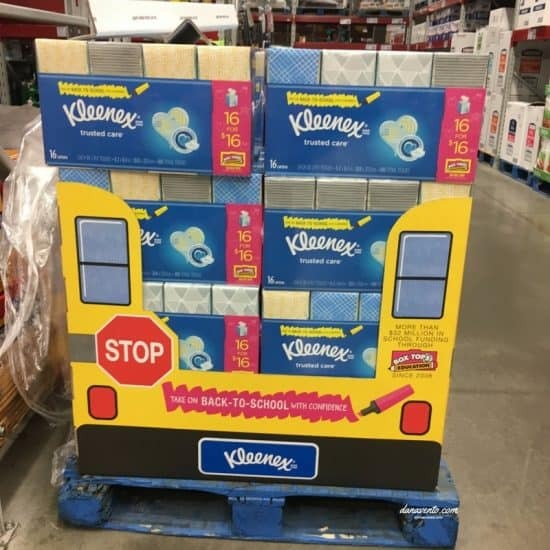 I know we need them in our home for our bathrooms, but I also know that the kids need them for school as they generally are asked to bring in 2 boxes each. Before you know it, we are moving through the 16 like lightning. Buying this large package truly saves money and time. Just so you get a good idea of how much I saved, you need to know that is about.30 a box x 16 boxes = $4.80 and that is being conservative. How does this translate in Mom world? How about enough to buy a pound of cheese, a watermelon, toothpaste, or shampoo, or a coffee out with the girls! It’s a great deal is what I am saying and I saved big because I made one stop. I will totally admit that I am a Sam’s Club girl and I shop there weekly, and I can probably tell you where everything is located (no shame here). My kids love going to the store because as we shop, they sample and as they sample I move along getting things I need (bribing without really doing it). I can easily grab everything from snacks on the go to those most essential paper products that we use every day to those that will be sent to school as part of the back to school ‘ask’ list. I call my shopping “Go Big or Go Home”, because I am going big on buying larger packages I can split between 3 kids and their school needs, yet at the same time I am filling up my cabinets, pantry, etc. Now as I send my kids off to school, I feel good because we are organized, yet I have that ‘mom sadness’ that they are again leaving me! Lavishly live life out loud, save time and money, and then cash in when they leave and grab that coffee you well deserve and perhaps you will have the #KleenexMoments that most have. Have a great school year. Amazing post, Money saving is important for the student, They have to start a money saving habit from school life. Great reminder! I need to hit up Sam’s Club for back to school. With 5 kids I typically load up on all the essentials there like paper, pencils, highlighters etc… Love that store. This is so smart! Thank you for pointing this out! I haven’t been at Sam’s Club for such a long time! This is really nice. I don’t have kids yet but these tips are still worth keeping in mind. Thanks for the nice review. Any tips to save money on back to school shop is always a lifesaver for me. Another great post, keep ’em coming! I can use all the help I can get with back to school shopping. I got 5 kids! I also shop at Sam’s Club. I don’t like going to different stores. Parents should be practical when buying school stuff. “To save time and money on back to school shopping you have to know where to go to and then you will know how to make back to school shopping more practical!” What I think that, when you purchase stuffs for your kids, you might need to write down a list and check the flyers. Then you might save a lot of efforts. Haha! I’m a sucker for the sample area. I swear the sample area is just another excuse to grab freebies or help me to buy things I should and helps in deciding in my purchases. We also have cards like that here where you can get a discount if you’re a member. its better than buying anywhere. Nice article. Though we dont have this store in the country. I think saving can be effective if you just buy what you really need and use the other supplies you have used the previous year. A tip to save money come school time is ” ONLY BUY WHAT YOU NEED.” Avoid impulse buying. It is easier said than done particularly if you are there but it is a must. 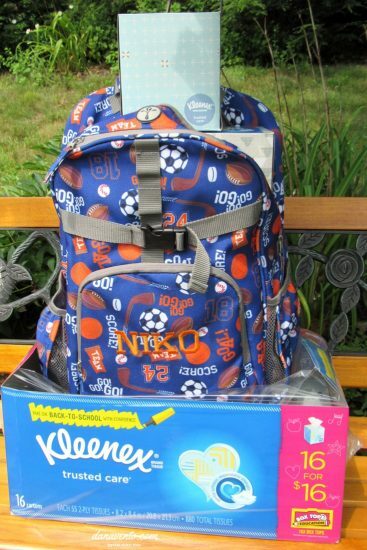 I do not know much about back to school kits. However, I always used unused supplies and notebooks to lower the cost of buying a new one down.